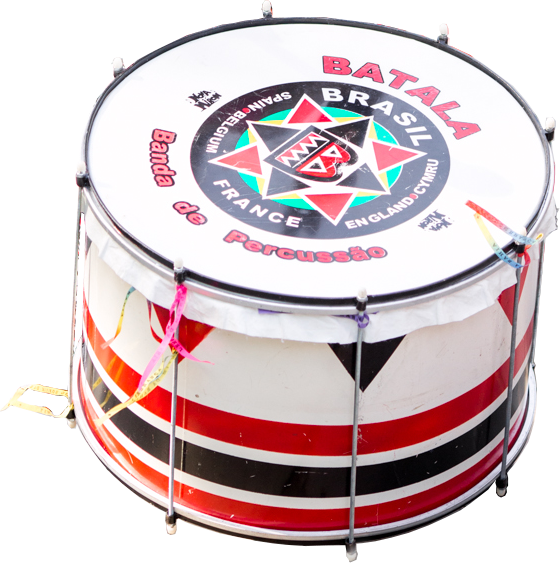 The biggest surdo, sometimes called the primeiro, plays on beats 1 & 3 and sets the tempo for the band. Combined with the surdo 2 beats, these are are called marcação, which means “marking,” in the sense of marking time. 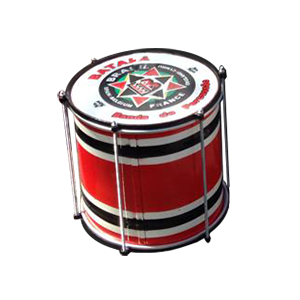 Also called the third surdo or terceiro, the dobra is unique to samba-reggae. It plays the “off beat” and other syncopated rhythms, cutting between the beats of the two larger bass drums with more complex rhythms and driving the band choreography. 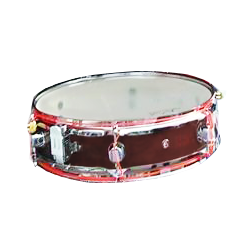 The most familiar instrument to non-Brazilian audiences, this snare drum is the engine of the band, capable of playing with the most nuance and expression. Percussionist, composer and choreographer Giba Gonçalves (pictured at left) moved from Bahia to Paris in the 1990s. 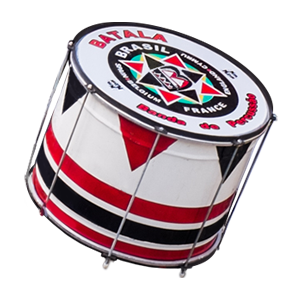 There, in 1997, Giba founded a community percussion ensemble he called ‘Batalá.’ The name derives from the Portuguese phrase bata lá, meaning “hit [a drum] over there,” and is also a nod in tribute to Obatalá (Oxalá), the Candomblé deity who is the father of all the orixás. From Paris, Batalá quickly spread to other cities throughout Europe and the UK. 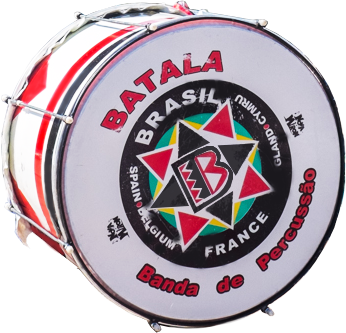 The first Batalá band in the United States, Batalá Washington (D.C.), was founded in 2007. Meanwhile, back home in Salvador, renowned Bahian artist and cultural figure Alberto Pitta, a longtime friend of Gonçalves’, founded a bloco afro called Cortejo Afro in 1998. Because of the close collaboration and friendship between the leadership of the two bands, Batalá and Cortejo Afro share some music and rhythms. 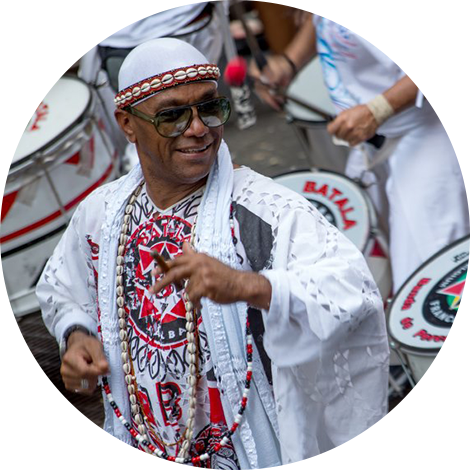 Every year during Carnaval season in Brazil, members of Batalá bands from all over the world (including Batalá New York!) join ‘Cortejo’ to play side by side in the carnival parades in Salvador. Batalá now has a presence in over 30 cities in Europe, North and South America, the Caribbean, and Africa. Click on the drums in the map to see where we are!